In California, we have more than 128,000 active-duty personnel and over 56,000 reservists increasingly called to active duty. 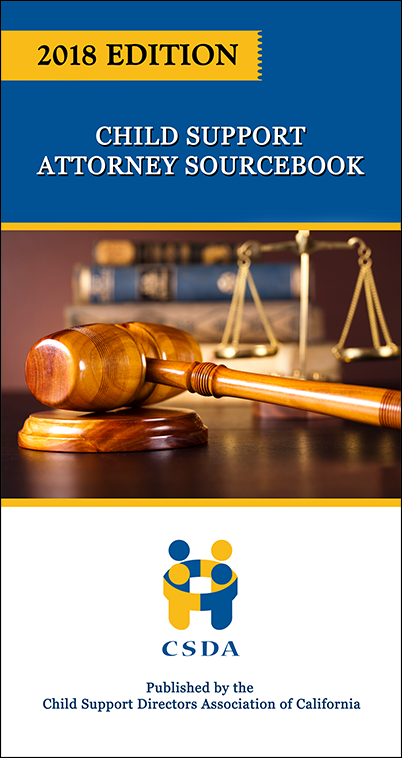 We are seeing more and more cases involving military parents. As such, it has never been more important to engage with our customers on duty. Recently the San Bernardino DCSS (SBDCSS) conducted outreach events involving the Fort Irwin National Training Center (NTC), and the 29 Palms Marine Corps Air Ground Combat Center (MCAGCC). 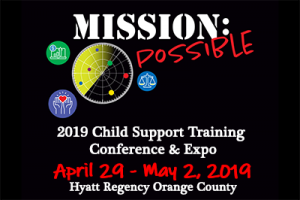 Our liaison team for these events consisted of Chief Attorney Marci Jensen-Eldred, Child Support Attorneys Alan Skidmore and Anne Chen, Operations Manager Will Williamson, and Supervising Child Support Officer Shannon Fowler. On October 25, 2018, SBDCSS hosted officers and staff of the Fort Irwin Judge Advocate General’s office at the San Bernardino court facility and Loma Linda office. The JAG staff observed child support hearings and participated in a question and answer session with two of the IV-D Commissioners, Commissioner John Crawley and Commissioner Charles Fuertsch. Subsequently, our liaison team delivered a presentation regarding child support issues and services highlighting specific areas of concern to military customers. Of special interest to the guests were UIFSA issues, guideline calculator factors, and the Servicemembers Civil Relief Act process. 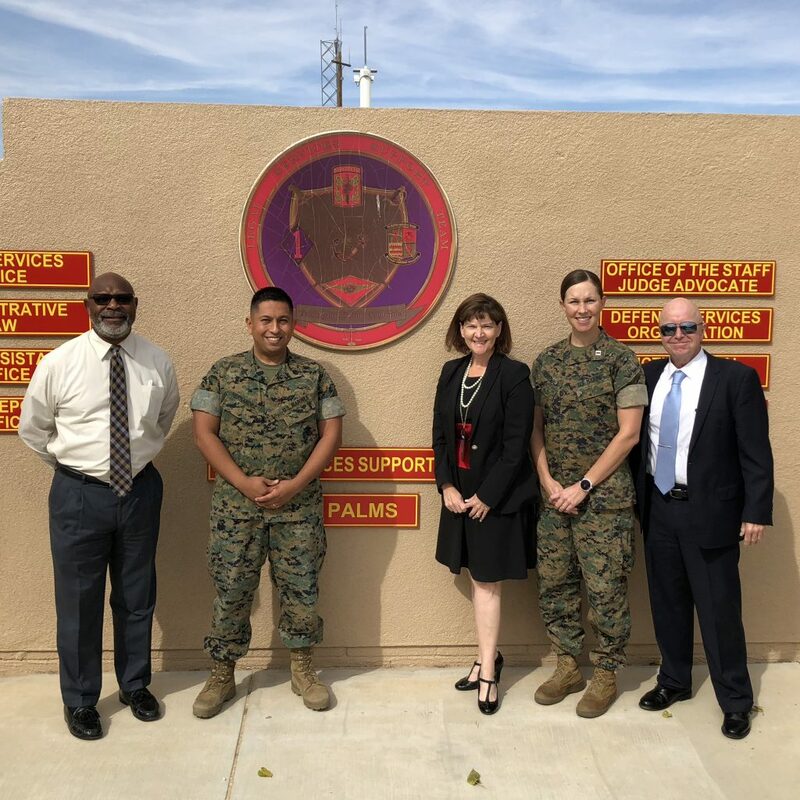 A few days later, on October 29, 2018, the JAG officers and staff at the 29 Palms Marine Corp Base in 29 Palms hosted SBDCSS. In an informal, but comprehensive presentation to the JAG staff, we shared the child support services provided to the Marines in their charge and answered a myriad of important relevant questions. The Fort Irwin and 29 Palms JAG officers were extremely appreciative of the information imparted. We are scheduling annual or bi-annual update meetings with both military organizations. We are working to broaden our military outreach efforts to include several Veterans Administration partners. 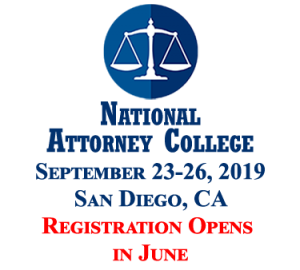 It was heartening to hear from several JAG officers that our presentations enabled them to better advise the service members they serve regarding child support issues. Even more important are the connections we established and the ongoing collaborative relationships we built.